William Gill fl. 1826 – 1869 was a portrait painter from London, in 1838 he moved to leamington. William Gill was a regular exhibitor at the Royal Academy between 1826 – 1869. He also exhibited at Suffolk Street and the British Institution. 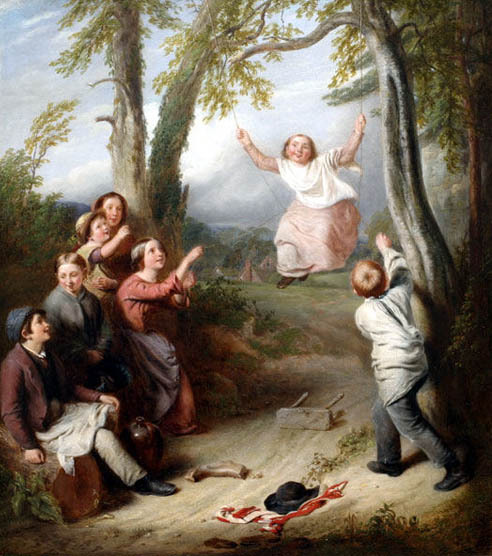 In 1854 he moved back to London and in the same year he exhibited ‘The Swing’ (The painting below) at the Royal Society of British Artists.